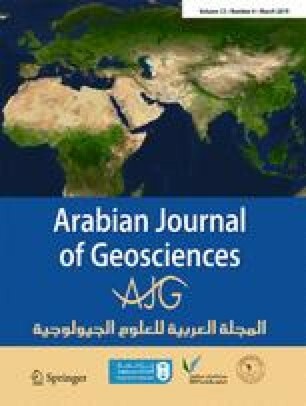 The aims of this study are to evaluate the physico-chemical properties of groundwater in the Engiz Aquifer System, determine the sea water intrusion, and investigate suitability of groundwater for both agricultural and drinking purposes of Samsun City in Turkey. It was interpreted whether groundwater was suitable for drinking and the parameters analyzed were checked according to the standards determined by the Turkish drinking water standard (TSE 266 2005). The use of groundwater for irrigation purposes was classified based on the Water Pollution Control Regulation of the Turkish Republic, Criteria for Inland Surface Water Classification (WPCR 2004). The groundwater samples of the Engiz Aquifer System were analyzed for major anion and cations, trace elements, pH, EC, and TDS. The groundwater samples are Ca-Mg-Na-SO4 and Ca-Mg-Na-Cl water types. The groundwater samples are not suitable for drinking because of the high levels of Na, Al, As, Fe, and Ni. Besides, %Na and SAR values indicate that the water is suitable for only salt-tolerant and semi-tolerant crops under suitable irrigation circumstances. According to the Mg Hazard and PI values, 30 and 70%, respectively, of the groundwater samples are not suitable for irrigation in the basin. It is thought that the groundwater salinity is increasing in the future because the groundwater wells are close to the Black Sea coast and there is some intrusion of saline marine waters. • The Eastern Black Sea Region is a very important area in Turkey in points of hydrogeological and hydrochemical properties. • The objective of the study is studying the hydrochemical properties of Engiz Aquifer System. • Drinking and agricultural use of the groundwater is determined in the region. The authors thank Assistant Prof. Hakan ERSOY for his helpful comments on the manuscript. Special thanks are due to “American Manuscript Editors” service to improve the English writing of this article.